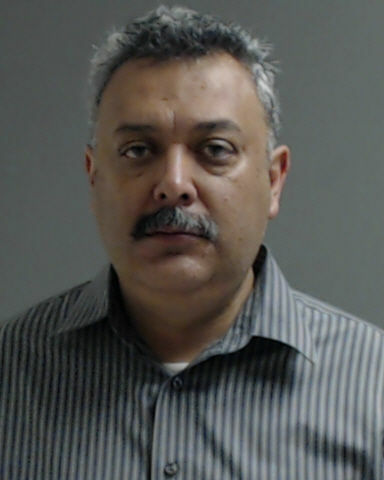 Edcouch Mayor Virginio Gonzalez Jr. pleaded guilty Thursday to avoid jail time for driving while intoxicated. As part of his plea agreement, Gonzalez agreed to participate in a two-year pretrial diversion program offered by the Hidalgo County District Attorney’s Office to certain first-time offenders in lieu of a jail sentence. Hidalgo County Court-at-Law Judge Jaime Palacios accepted the mayor’s participation in the program. Had he not qualified for the program, Gonzalez, 46, faced up to 180 days in jail on the class B misdemeanor charge and a criminal record. If he successfully completes the program, the charge will be dismissed. Whereas those on probation are often required to install a blood alcohol concentration device in their vehicles, the pretrial diversion program mandates participants record their blood alcohol concentration three times per day regardless of whether or not they get behind the wheel, according to Rodriguez. Gonzalez, who applied for the program, must refrain from consuming alcohol for the entirety of the two-year program and will report regularly to a probation officer. He will also be required to complete a 12-hour alcohol abuse class and 24 hours of community service and will participate in a day-long orientation where the Texas Department of Public Safety, Mothers Against Drunk Driving and others review dangers of driving while intoxicated. Gonzalez qualified for the program because no one was injured in the August 2017 incident, he did not have children with him in his vehicle at the time of his arrest and the misdemeanor was a non-violent offense. A DPS trooper arrested Gonzalez, who works as Edcouch-Elsa Independent School District’s human resource director, on suspicion of driving while intoxicated during a traffic stop for a defective rear brake light as Gonzalez was driving on State Highway 107, about 11 miles west of Edcouch. Gonzalez told the trooper he drank three or four beers, according to the trooper’s complaint, which noted he smelled strongly of alcohol. Gonzalez performed field sobriety tests, but refused to provide a breath sample intended to determine his blood alcohol concentration. Gonzalez posted a $5,000 personal recognizance bond the day he was booked into the Hidalgo County jail. He’s since been in attendance at Edcouch Board of Aldermen meetings. He could not immediately be reached for comment following his guilty plea.